Gas & electric hot cupboards & hot holding cupboards in excellent condition. 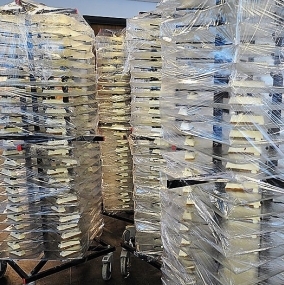 Pro kitchen jackstacks in the quantities you need for large event catering. Hot & cold serveries for catering at events & special occasion dining. 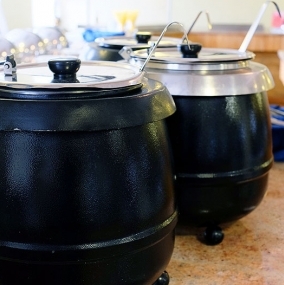 Tabletop serveries, soup kettles, bains maries...the list is endless! 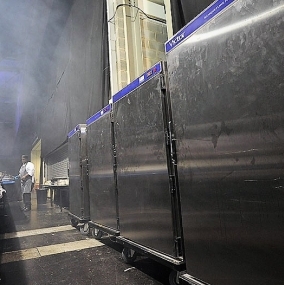 If you are organising an indoor or outdoor event where you need to hire catering facilities, the chances are that you will need serving and storage equipment and you can hire it right here. From our well-stocked nationwide depots, we are able to service all your storage container hire equipment needs. 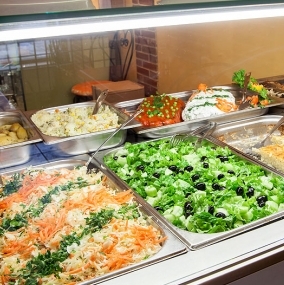 Our range of catering equipment when it comes to products for serving and storage is superb and is the perfect place for professional caterers to select the right products for them. Of course, mass catering for thousands of people on Christmas party nights in December requires different catering equipment hire products to a small family birthday party in a village hall. However, we offer all our equipment for catering to both professional and private event organisers, regardless of size. Our range of products is extensive, providing our clients with the very best choice and, as importantly, availability being as hot cupboards hire, jackstacks and table top serveries are hugely popular at peak times. You need to be confident in your event hire company that they can provide exactly what you need in the quantities you need, regardless of the time of year. This is the test for most event hire companies – the vast majority will be able to provide what you need in the quieter months. However, Event Hire UK, with years of experience in the industry, has built up enviable stocks of hot cupboards and hot holding cupboards, meaning that we can usually help you. Your chefs need to have confidence in the quality of the equipment you are hiring so the right choice of serving and storage containers for hire is essential. This can only be achieved by using up to date equipment which, of course, requires investment. As part of our ongoing quality control, Event Hire UK regularly invests in new catering equipment so that our clients can benefit from this. Our equipment is routinely maintained and serviced – after all, a bit of TLC goes a long way! We also offer mobile serveries such as hot and cold serveries for hire, table top serveries for hire, and you can also hire jackstacks to make your back and front of house service more efficient - in fact anything you could think of which will make your event hassle free and enjoyable. Event Hire UK has unrivalled experience in the industry which, combined with first class customer service, immaculate condition of product and competitive prices, allows us to service our clients’ needs superbly. We offer a competitively priced delivery and collection service which the vast majority of clients when they hire serving units and catering holding cupboards take advantage of due to the sheer bulk and size of the units. We are justifiably proud of what we offer which is reflected in some of the comments from our valued customers. Why not take a few moments to browse our selections, make your choice and contact us today.